One of the most common, and surprising, effects of following the Atkins diet is appetite suppression. Many followers of the plan report that the between meal hunger pangs they used to experience fade away very quickly. This makes it easier to stay on the diet and continue to lose weight. While other diets have their followers starving between meals, the Atkins diet offers relief from constant hunger. The Atkins diet, with its specific combination of foods and ingredients, has powerful appetite suppressing effects. The first key component is the amount of protein in the Atkins diet. Protein, more so than carbohydrates, has the power to satiate hunger. If you’ve ever eaten a carb heavy meal and then felt hungry afterward, you know that carbohydrates don’t have much staying power. 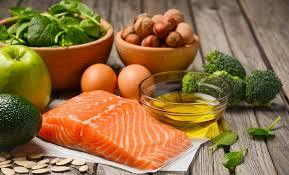 Protein, when combined with a small amount of healthy fats, can keep you feeling full for long periods of time. One of the most powerful appetite suppressing foods on the Atkins diet are eggs. Eggs are a great form of quick and easy protein. A recent study showed that eating eggs for breakfast would actually stave off hunger pangs through the rest of the day. The research concerned two groups of women. One group ate eggs for breakfast and the other had a breakfast of bagels and cream cheese. The calorie count for both breakfasts was exactly the same. The subjects kept track of what they ate the rest of the day and answered questions about their levels of hunger and satisfaction throughout the day. The results showed that the women who ate the eggs for breakfast felt more satisfied throughout the entire day. They ate less at each meal than the women who were in the bagel group. Eggs contain about 6 grams of protein each. This helps to even out blood sugar and produces a feeling of satisfaction. Both of these factors help to curb cravings. Egg yolks also contain lutein and xenazanthin. These nutrients have been shown to have incredible effects on eye health. So it’s important to eat the whole egg, and not just the white. Eggs contain choline that is important in brain functioning and memory. These nutrients are just an added benefit to the appetite suppressing qualities. Broccoli and cauliflower, two of the acceptable vegetables on the Atkins program, also have appetite-suppressing effects. These vegetables are very bulky and they help make your stomach feel full. When your stomach feels full, it will actually create a chemical response in your body. Your body will reduce its appetite because it believes that your stomach is full of high calorie foods. This will happen regardless of what is in your stomach. You can achieve the same results with water and psyllium husk fiber. Both broccoli and cauliflower provide bulk in your diet and are essential vegetables on the Atkins plan. The Atkins diet focuses on eating small protein balanced meals a few times per day. This will help keep your blood sugar stabilized and avoid carbohydrate cravings. With high carbohydrate diets, you are riding the wave of carbohydrate highs. After you eat, you feel great and full. Then a few hours later, you come crashing down and are hungrier than you were previous to eating the carbohydrate. This cycle continues and, over time, you will eat more and gain weight. The protein, fat and vegetable meals of the Atkins plan put your blood sugar back in balance. They provide just enough of each type of food, with a proper amount of carbohydrates (from the vegetables). The vegetables provide quick carbohydrate energy, and the protein gives the meal staying power. This combination helps suppress your appetite. The Atkins diet is actually a craving control diet that can help suppress your appetite. If you’ve had a problem with carbohydrate cravings before, this new way of eating will help control those cravings. The more you eat on the plan, the better your cravings will be controlled and the easier it will be to follow the diet. 0 Response to "Atkins and Appetite Suppression"